I managed to get 5 rounds in 20 minutes. The hardest thing was the plyo push-ups, I still had to do them on my knees and break them up in sets of 6 and 4 to finish all 20. On second thought, maybe that's why my forearms are tight and sore right now. 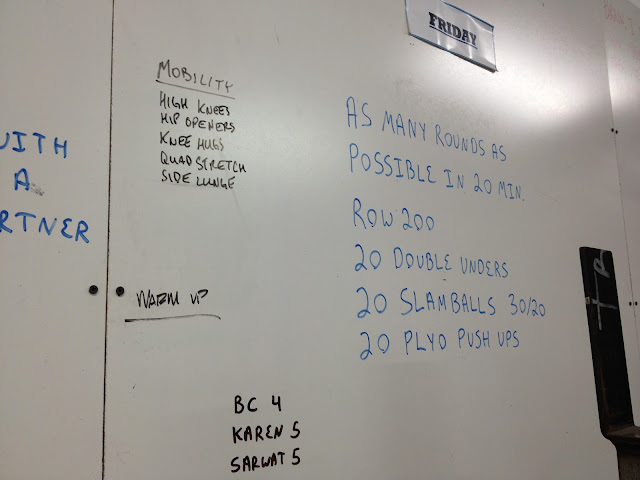 It was good to get the WOD in since it's pouring outside, meaning no biking today. Forged Fitness and Hill Repeats!